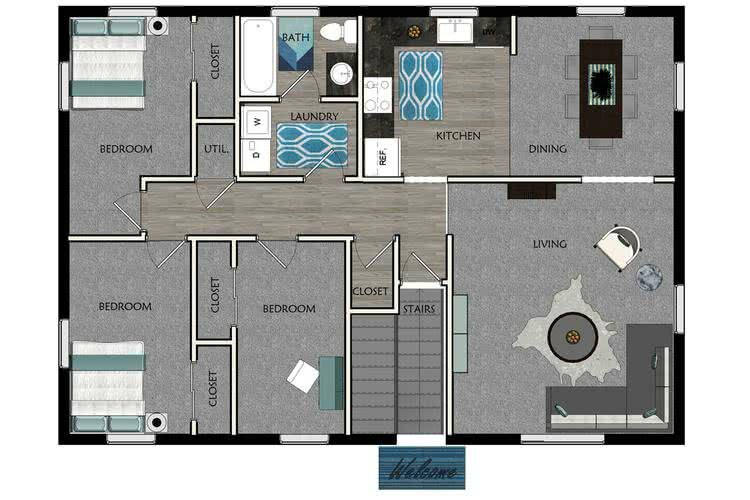 The Pioneer is one of our most popular 3 bedroom apartments in Amherst, MA. It features a large kitchen and living room. If you like to entertain this will be a perfect fit for you! Having a dishwasher and a full size washer and dryer in your apartment can't get any better!